We get it Samsung, it’s hard playing second fiddle to Apple. You owe them a billion dollars from a four-year-old patent lawsuit, because the Samsung Galaxy was a lot like the iPhone. Another time you got a smartwatch to market, and then Apple descended from the clouds of Cupertino to declare to the world that it has revolutionized mobile electronics with the creation of a truly revolutionary smartwatch, and everyone lost their damned minds. That’s a rough life you got there buddy. But maybe, just maybe, don’t show off a suspicious Apple Watch lookalike device in your latest patent file. 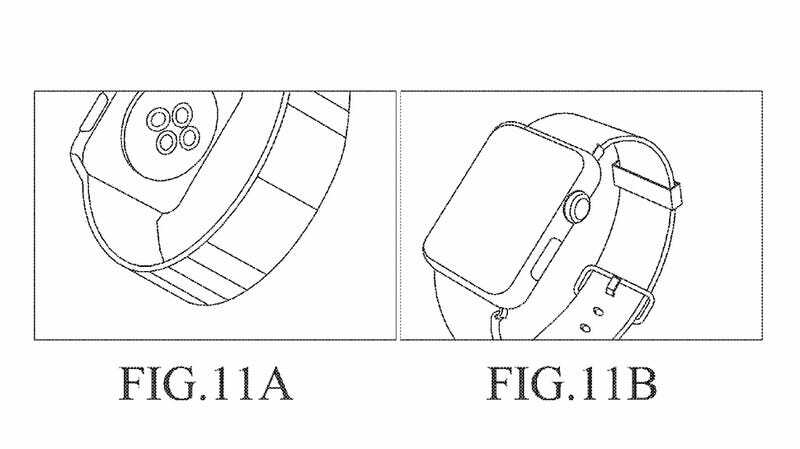 As Business Insider notes, in a patent filed in January, Samsung included illustrations that look virtually identical to the Apple Watch. It’s got the dial (Apple coined it a crown), and the distinctive back. It even has the same watch band! You know those things? Apple invented them last year to save people from having their watches just fly off their wrist willy nilly and into the faces of babies? Thank God for Apple’s clever invention am I right? Wait. I mean Samsung. Samsung is the one claiming to invent the watch wrist band. Thank God for Samsung. Protecting baby faces everywhere.